And I slept for about 11 of them – in Economy seating and without the aid of sleeping pills, which I’d been recommended by friends who are more experienced long-haul travellers than I.
I’ve always been a good sleeper, not just on various modes of transportation (although I do have an entire childhood’s worth of car-, air-, and seasickness that helped train me for such), but also in my own bed. I’m not actually that fond of sleeping – I’d parlay all those hours into more active pursuits if I had my way – and thus tend to approach it like something to just get over with: I fall asleep, do my time pretty much uninterrupted unless some external disturbance interrupts me, and then snap awake eight hours later like the timer on my oven. But during my first week back from my trip, I found I wasn’t sleeping all that well at all. I would get in bed at my usual workaday bedtime and lie awake for hours, unable to drift off to dreamland. Exactly how much of that was attributable to jet lag and how much to the fact that during my month of going to bed at whatever time I wanted, I’d forgotten how to go to bed early, I can’t really say. 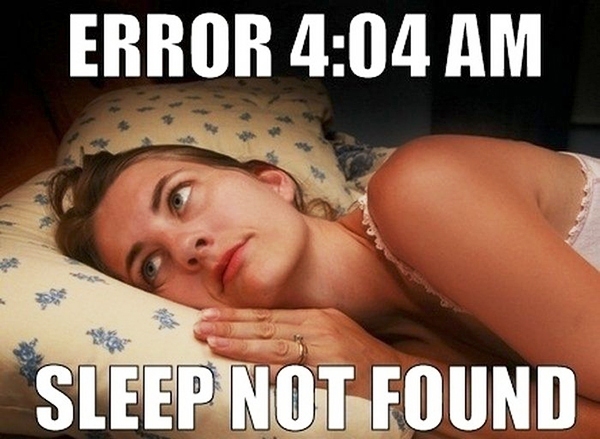 I do know, however, that there was yet another factor that contributed to my inability to fall asleep. I stopped writing while I was on vacation. 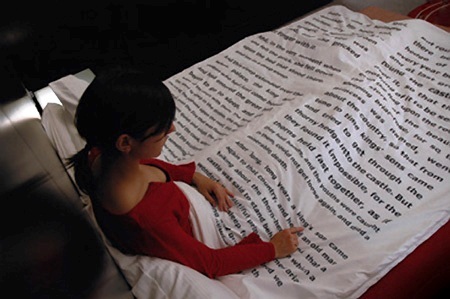 I never realized how much my writing contributes to my ability to sleep soundly each night. The fact that I do most of my writing at night – thus making it the last thing on my mind before I go to bed – may be a factor as well. For when I go to bed every night, my writing is indeed still on my mind: what I just wrote; what I’m going to write immediately following what I just wrote (because I always need to think about what I’m going to write before I write it); which events are going to occur in my current chapter; how I plan to end the current chapter; how I’m going to fill that massive plot whole that’s looming two or three chapters away. I also tell myself stories about my characters – either tales from their backstory that may or may not ever make it into the main novel, or unrelated storylines that would only occur in an alternate universe of my story world. I often do the same with other characters as well – characters from books, movies, and TV shows that I love – inviting myself into their sandbox to play and play out the scenarios I’d create with them if they were my creations. Many of my insomniac friends tell me that part of the reason they can’t sleep is that their minds are too active – that when the lie down and close their eyes, their racing thoughts make sleep impossible, and that they can’t clear their heads for anything. For me, the situation is opposite: my story thoughts – although initially keeping me awake and scribbling furiously with my glow-in-the-dark pen to ensure I don’t forget anything important – are the thing that makes sleep possible for me. It’s my own personal bedtime story that continues night after night, requiring only that I create and consume new media on a regular basis to provide me the raw materials to spin out my web of waking/sleep-making dreams. Which brings me back to my recent trip. I did a lot of things while on my trip: sightseeing, bush-walking, bird-watching, reef spotting, hanging out with friends, wallowing in a swimming pool for five straight hours to escape the 46°C/115°F desert heat. But outside of a three-sentence story, I didn’t do any writing. I did no work at all on my novel. I didn’t even think about it. Other than a program about astrophysics, I didn’t watch any TV or movies. The only book I read was one on religion that I’d promised my mother I’d read so we could discuss it. All this to say, I emptied my head of all fictional stimulation to the point that when I got home and tried to sleep, it was silent inside my head. It was the loudest, most disruptive sound I’ve ever tried to doze off to. I’ve thankfully since recovered from this insomnia, which taught me that allowing my creative brain to fall asleep on the job is a very, very bad idea. As well, it further reinforced that my learning to do at least a bit of relevant writing while on vacation is a serious necessity. How well do you sleep at night? What contributes (or doesn’t) to your ability (or not) to get a good night’s rest? Does writing or any other creative pursuit play a role? Let me know in the comments. This entry was posted in Travel, Writing, Writing While On Vacation and tagged (I Should Be) Writing, Australia, Characters, Daydreaming, Imagination, Insomnia, Novel, Novel writing, Sleep, Storytelling, Writing. Bookmark the permalink. I sleep marginally better in the winter, most likely because the longer hours of darkness, less noisy activity outside, and my own body warmth under the blankets relative to the cool air in the room. Still, if I get more than 6 hours, it’s a miracle. I’m convinced my insomnia would be cured if I were a full-time novelist, not for the reasons you cited but because I could sleep on my own schedule instead of confirming to that of the world around me. I’d much prefer to be awake for about 20-22 hours and sleep for about 10, but the Earth’s rotation does not accommodate me. The longer hours of darkness make me sleep worse in the winter, for it’s harder for me to wake up in the morning without the sun to give me a gentle nudge. 20-22 hours awake is a bit too much for me; I can manage about 18 if I didn’t skip any meals that day, but any longer than that, the desire for sleep becomes so great, I start to feel nauseated. I wish that weren’t the case, though, for as I mentioned, I dislike sleeping and would prefer not having to do it at all. I wonder if science is making any strides towards that. Welcome back Janna, glad you had a great time. Like you I have no problem with sleeping – but the quality is definitely better when I’ve run a few miles that day. My sporadic writing doesn’t affect it at all. Thanks, Roy. I find exercise helps me sleep better too. On the days where I run, write, and read, I sleep like a baby.